St Giles Vancouver offers 4 week preparation courses for the TOEIC exam on set start dates throughout the year. This course offers 20 morning lessons of TOEIC preparation with the option to add 8 afternoon lessons of General English. TOEIC (the Test of English for International Communication) is an internationally recognised English language examination designed to test the everyday English skills of people who use English in the workplace. 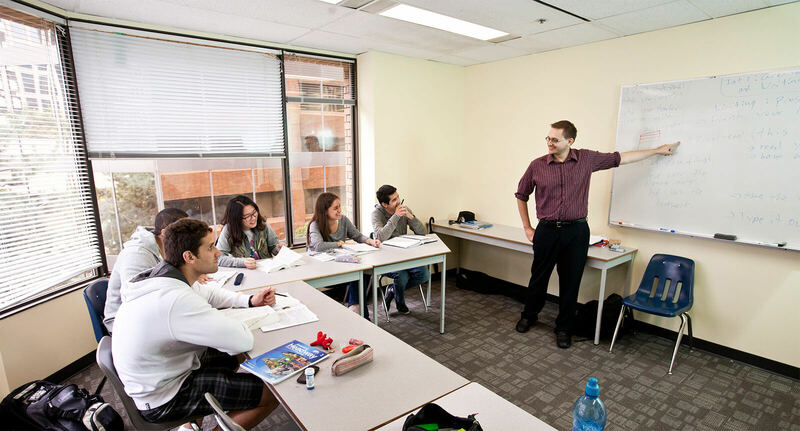 St Giles Vancouver is the perfect choice for students looking to study TOEIC in a small and welcoming environment. The school is centrally located in Vancouver’s business district, close to the main shopping and entertainment areas, as well as the city’s parks and beaches. St Giles Vancouver offers students a personal learning experience in the beautiful and vibrant city. "St Giles is an excellent school and I really improved my English."